This is a Grove Power module meant for Grove kits such as the Grove Mixer Pack V2. It is the source of power or energy for all the circuits with which it is used. 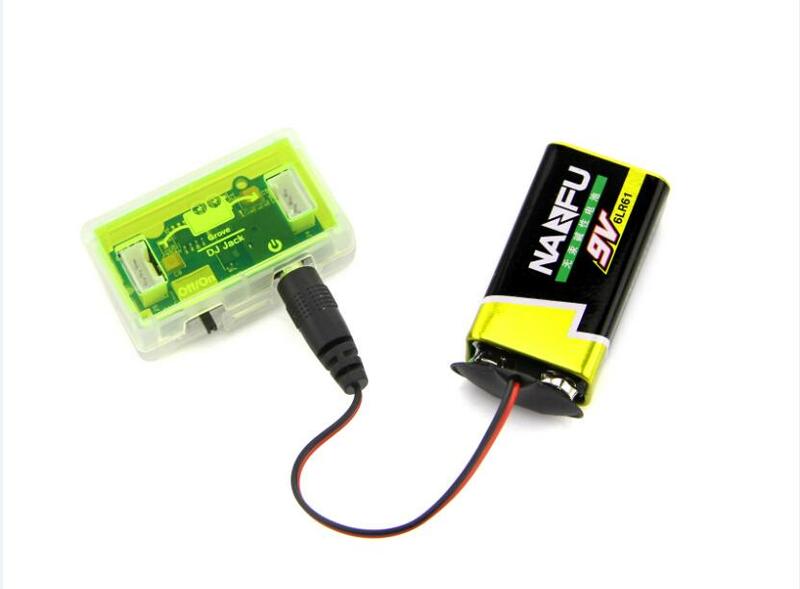 It can plug in a range of power sources such as a 9V battery as shown in the picture, or any battery pack or wall power adapter that supplies power in the range of 5.5V-20V. Grove - DC Jack Power module is based on the TD1410 DC-DC step down converter chip and achieves 2A continuous output current over a wide input supply range with excellent load and line regulation. ON/OFF switch eliminates the need for connecting and disconnecting the power source in order to switch the circuit on or off respectively. Note that the DC - Jack Power Grove module is sold only as part of the above mentioned packs and is not available stand-alone from the Seeed Studio Bazaar.